Fly fishing combo's, all set and ready to fish. If you are new to fly fishing, combo's represent fantastic value for money, and comet all set ready to get on the river. 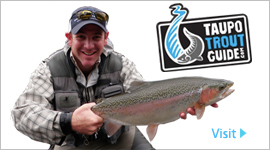 Looking for a quality fly rod made right here in New Zealand? Kilwell are still producing fly rods in their Rotorua factory. 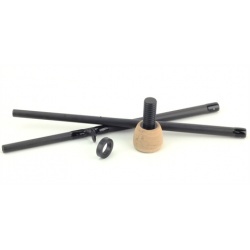 Famous for after sales service and support, all Kilwell rods come with a limited life time warranty. Armed with a lifetime passion for fly fishing, we set out to establish a new standard of value for fly and conventional rods. We have relied on our own experience and advice of many professionals in creating what we believe is the perfect marriage—price and performance. Sound too good to be true? Cast one, and you be the judge. "Lifetime Warranties," are worth little for rods that stay in the closet. For some of you, ours might be your only rod, and for others who might be adding to a portfolio of rods, we expect ours to become a favourite. Temple Fork Outfitters rods prefer to spend their time fishing, and thus face a greater odds of breakage. Our NO FAULT LIFETIME WARRANTY will repair or replace your rod for a reasonable shipping and handling charge for the life of the registered owner. Airflo fly rods from Manic tackle, now with the Airflo Quick Fix Service to get you back on the water ASAP if you suffer any rod damages. Designed in Scotland, made in Korea, Sharpe's of Aberdeen rods are something a bit different. Quality and finish are second to none, these rods cast a beautiful line in any conditions.